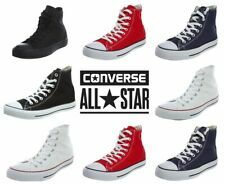 Converse All Star Low-Top Size 7uk Euro 40. Condition is Used. The souls are still good. There is a mark on the canvas – see photos. Ladies girls adidas flux trainers - white - size 4. Good condtion although not as white as they once were! Plenty of wear left however. Condition is Used. New listingLADIES SLAZENGER TRAINERS SIZE 6, FAB USED CONDITION. Excellent condition bar couple of little marks, spotless inside. LADIES SIZE 5 NIKE HIGH TOP TRAINERS CANVAS BOOTS. Condition is Used. Dispatched with Royal Mail 2nd Class. New listingWomen’s White Leather Converse Trainers Size 5. Women’s White Leather Converse Trainers Size 5. They have been worn but still in very good condition which I hope you can see from the pictures. Please take a look at my other items for sale any questions please contact me. White Authentic Vans UK Size 5 UK (Eu 38) Good Condition minor stains but can be washed. Condition is Used. Dispatched with Royal Mail 2nd Class Signed For. May have few minor marks from. White Converse Size 8. Condition is Used. Please take a look at my other items. All my items have come from a smoke and pet free home. 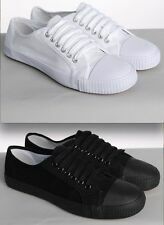 WOMENS ALL WHITE CONVERSE ALL STAR TRAINERS SIZE 5 UK (Eu 37.5) IMMACULATE CONDITION. Condition is Used. Dispatched with Royal Mail 2nd Class Signed For. Nike Ultra Uk Size 4 Kids Womens Trainers. Original laces. Bright colours. Good soles. Freshly washed. No nasty smells. Ideal holiday shoes, front porch runners or leave in the back of the car, handy when you go dog walking or camping. A used pair of nike ultra dens so expect some scuffs or wear consistent of such but still really clean and presentable. Any questions do ask. Thankyou. 99p start. Skechers D Lites Ladies Womens Chunky Platform Trainers Shoes UK Size 7 (Eu 40) Good Condition. Condition is used. Dispatched with Royal Mail 2nd Class Signed For. Vans Old Skool Trainers White Suede size 7, hardly worn.